Nieuw Statendam is Holland America Line’s second Pinnacle-class ship, similar to its sister, Koningsdam, but with a few modifications. 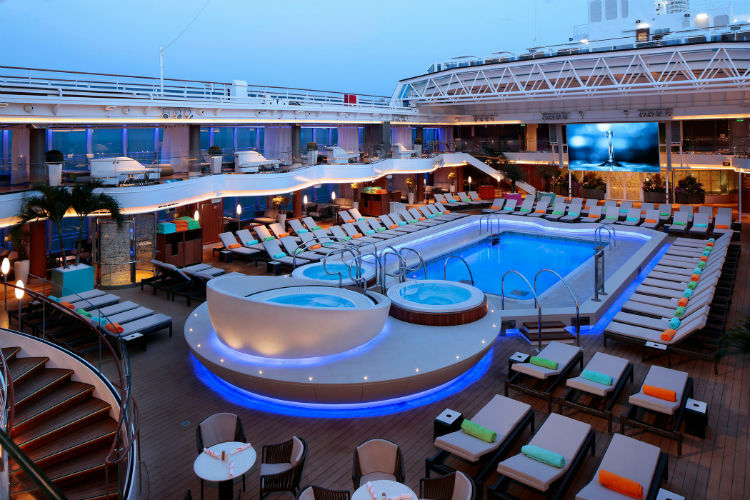 Built in Venice, launched in December 2018 and named in February 2019 by godmother Oprah Winfrey, the 2,666-passenger ship is aimed, the line claims, at ‘modern explorers, food lovers and music lovers’. This sums it up pretty accurately; the shore excursions are a cut above the average, the food is superb and the entertainment like nothing else at sea, filling the ship with music every night. 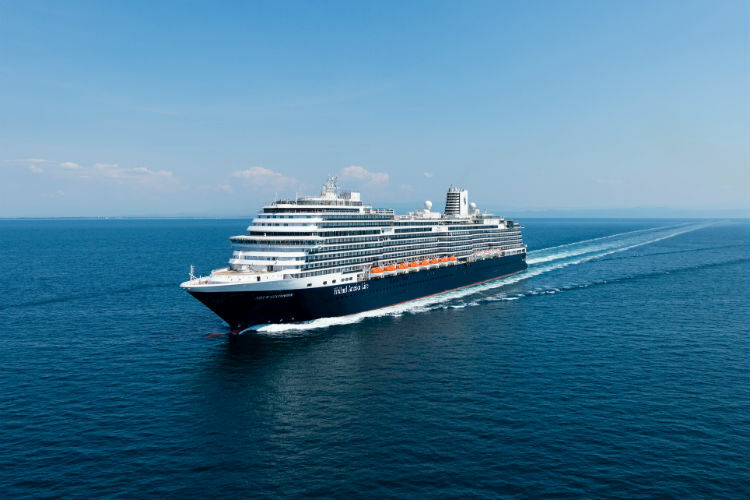 At 99,836 tons, Nieuw Statendam is a manageable size, stylish, light and contemporary without being intimidatingly hip. The interiors were designed by Adam D. Tihany, who has worked for Four Seasons and Mandarin Oriental, and Bjørn Storbraaten, veteran of many a luxury ship. Their brief was to acknowledge the line’s Dutch origins while embracing the fluid curves of musical instruments – and show off a $1.4 million contemporary art collection. 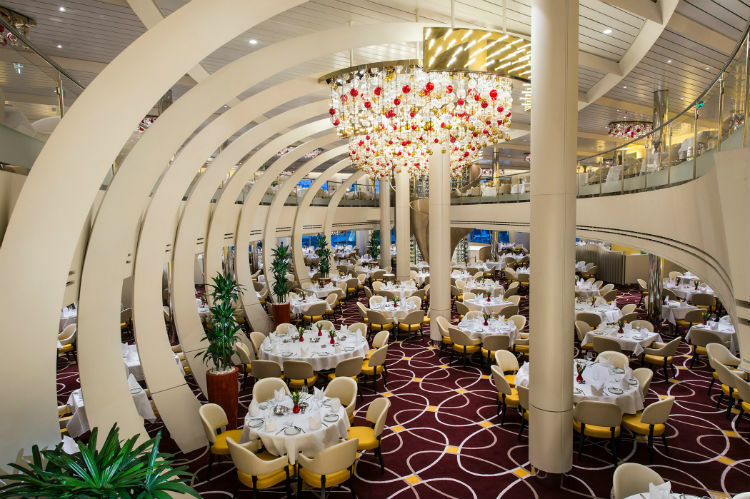 As a result, the ship is full of curves; the beautiful, light-filled dining room, over two levels, is shaped like the inside of a violin, while the focus of the atrium is a seven-and-a-half ton stainless steel sculpture inspired by the strings of a harp. Cabins are smart-looking, with several touches that put Nieuw Statendam firmly into the ‘premium’ category of ships: waffle bathrobes, Elemis bath goodies (in eco-friendly re-fillable containers), a huge TV with a wide choice of video on demand, USB charging slots and in 912 of the 1,339 cabins and suites, a deep balcony with two loungers. There are 32 family cabins, accommodating up to five, with two bathrooms, and 12 cabins dedicated to solo cruisers. Suites cover a wide range of categories. Vista and Signature suites come with a concierge service, pillow menu, fresh flowers and oversized bath towels, as well as more space than a standard balcony cabin. Neptune suites and above share the exclusive Neptune Lounge, with a concierge service and all-day drinks and snacks. The vast Pinnacle Suite, meanwhile, has a gorgeous private balcony with a whirlpool. The food on Nieuw Statendam is outstanding, whether you opt for the elegant main dining room or the casual Lido Market buffet, where separate food stations serve dishes from all over the world. Passengers were also raving about the hot dogs from Dive In and the freshly made pizzas from the New York Deli, overlooking the Lido pool. The speciality dining, too, is great value compared to other ships. The Asian-fusion Tamarind costs $25 and has its own sushi bar, Nami Sushi, as well as al fresco dining. Rudi’s Sel de Mer, a seafood bistro, has à la carte pricing, so you don’t feel obliged to overeat, and the fish is all fresh. It’s good value, too; a vast platter of fruits de mer, including lobster tails, costs $49 for two. The Pinnacle Grill serves Pacific Northwest-inspired steaks and seafood for $35, although you can have lunch in here for just $10, while Canaletto offers Italian classics in an informal but romantic setting in a special section of the Lido Marketplace, for $15. 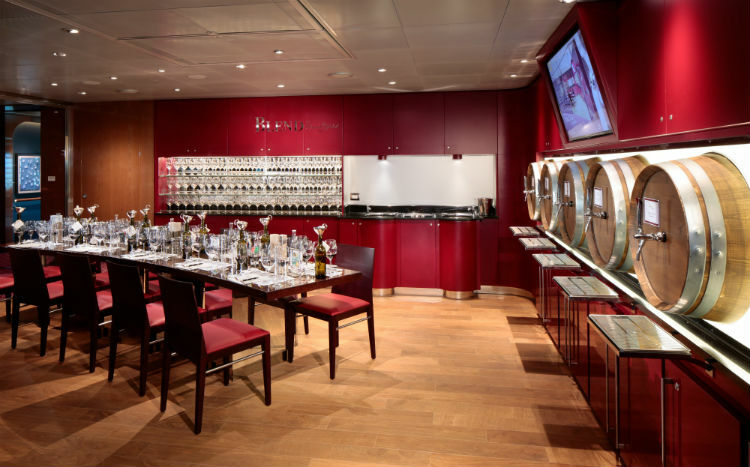 Neptune and Pinnacle suite occupants, as well as a limited number of passengers willing to pay $50 per person per day, can choose to eat in Club Orange, a new concept, in a restaurant in the space occupied by the Culinary Arts Center on Koningsdam. 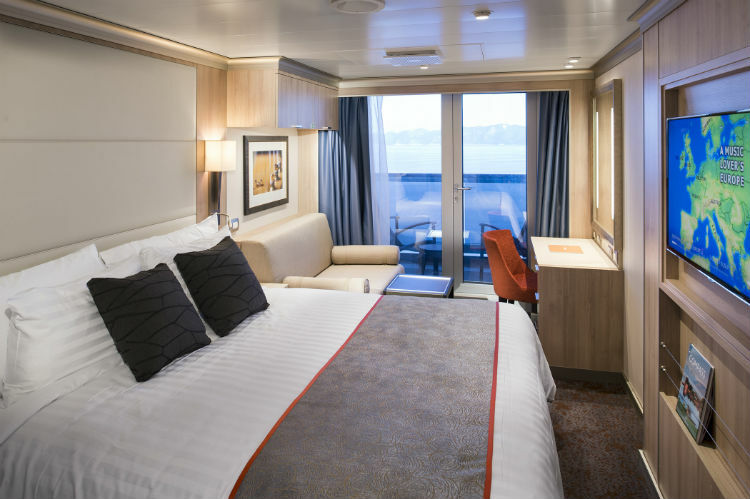 Club Orange membership comes with all sorts of other perks, like priority tender embarkation, priority for shore excursion booking and Guest Services access and in the restaurant, a wider menu than what’s on offer in the main dining room. There are two pools, the main Lido pool, with a retractable roof (handy for those cooler days sailing in Northern Europe) and the aft Sea View pool, which tends to be quieter. There’s a big hydropool in the Greenhouse Spa, which you can use if you have a treatment or buy a spa pass. The light-filled Crow’s Nest serves as the ship’s main living room, with uninterrupted ocean views, coffee, cocktails and touch-screen displays of useful information about the ports of call. Activities take place all day, from lectures to cookery demos, basketball hoops on the sports court and flower-arranging classes, while there are kids’ clubs for up to age 17. For something different, you can have a go at creating your own wine in Blend, run by Washington State winery Chateau Ste Michelle, for $79 per person or $99 per couple. Nieuw Statendam’s contemporary art collection is extraordinary and art fans should treat it as they would a top gallery in port; you’ll need a good half day to see everything on one of the self-guided art tours. The gallery on board, ArtLink is refreshing, too; while many ships continue the tradition of tacky art auctions, ArtLink sells affordable work by up-and-coming artists based in the destinations the ship visits. 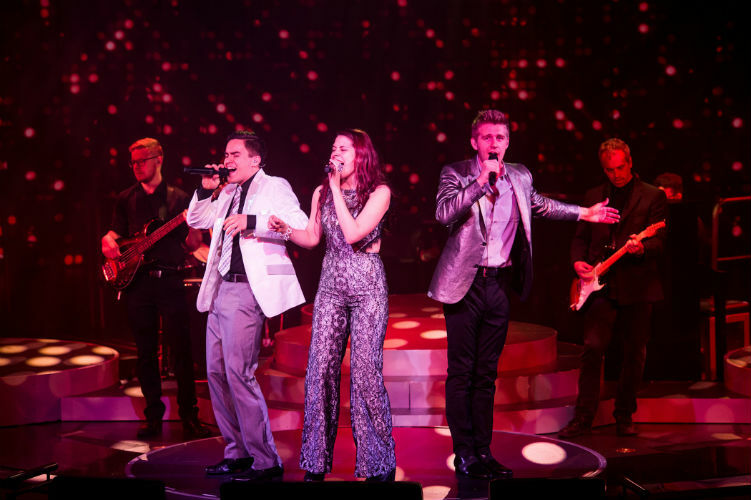 Nieuw Statendam’s big ‘wow’ is its live music. The heart of the ship is the Music Walk, with everything from classical to blues to rock. Partnerships with big brands ashore means the performers are world-class, not least the classical musicians from New York’s Lincoln Center for the Performing Arts who play early evening. There’s an outpost of the BB King’s Blues Club, with a fantastic seven-piece band, and enthusiastic singalongs to duelling pianos in the Billboard Onboard bar. New on Nieuw Statendam, and already a hit, is the Rolling Stone Rock Room, a music bar in partnership with the iconic magazine. In here, a superb band belts out rock classics late into the night. The World Stage offers something different, as well. 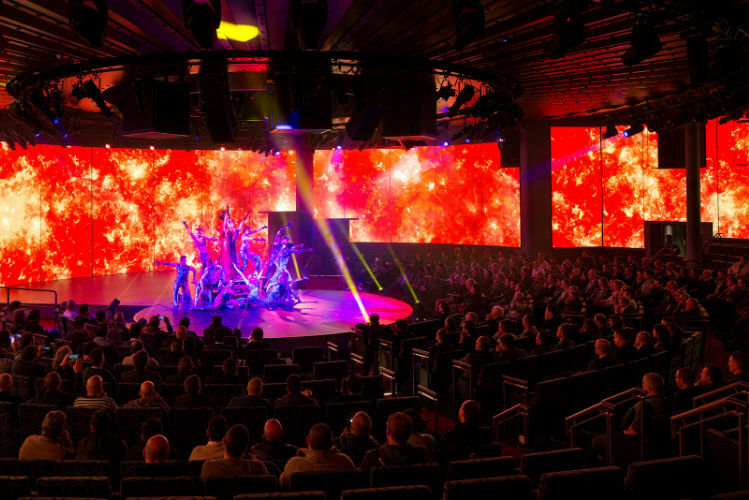 Instead of song-and-dance production shows, the double-height theatre, surrounded by huge LED panels, features visiting singers, musicians and magicians, using the panels to create stunning backdrops. Don’t miss the BBC Earth performances, with footage from BBC nature documentaries set to music. 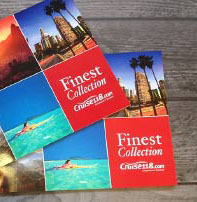 Use the handy planner that’s provided at the start of your cruise to organise what entertainment you want to see. A lot of the acts on the World Stage are special, one-off guest performers, so you don’t want to miss them. Also, treat yourself on a sea day to a private cabana. At $89, they’re good value. You’ll get luxurious loungers, towels, bathrobes, chilled water, lunch and treats like a glass of sparkling wine, chocolate-dipped strawberries and ice cream. On a port day, the price drops to $55.